We have a big race here in Colorado that takes place on Memorial Day- The BolderBoulder. With a back drop of the Colorado Rockies, racers must be in top shape and accustomed to the altitude for this 10k adventure. One thing I’ve always noticed are the ‘serious’ racers, usually from out of state, and even the country, and their light-weight clothing choices. It seems they know that to get in your best time, you must strip off the extra weight, train, and be very disciplined to make the end. We all have something we can call ‘weight’ hanging around our neck. The more we carry, the slower we function. 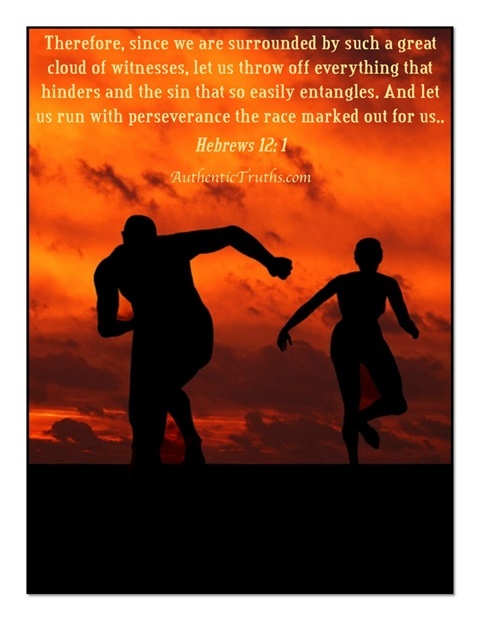 It is near impossible to run with endurance any 10K if you are carrying a massive gold chain around your neck, weights strapped to your ankles, or even carrying small items in your hands the entire time! Strip off the weight that slows you down. Evaluate your life and where your endurance, your stamina, your commitment lies. You might be surprised to find your focus and dedication is somewhere other than God.